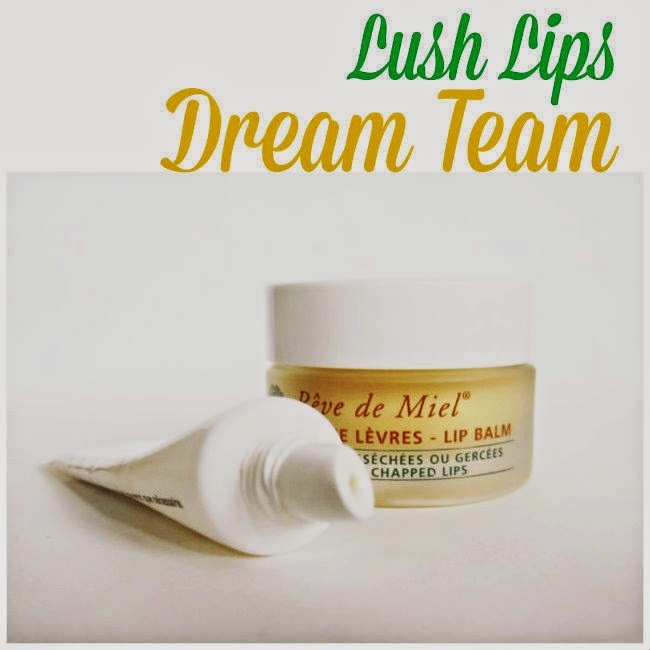 Nuxe Rêve de Miel and La Roche Posay Cicaplast Lip Balms: The Lush Lips Dream Team! When you're as fond as I am of matte lipstick, you'll know the vital importance of lip treatment. Pots and tubes of lip balm are squirrelled away all over my apartment, office and in most handbags and pockets and I'm excited to share my current favourite combo, which is working wonders to keep chapping and flaking at bay. This little duo is a dream team when it comes to nourishing and caring for my lips. 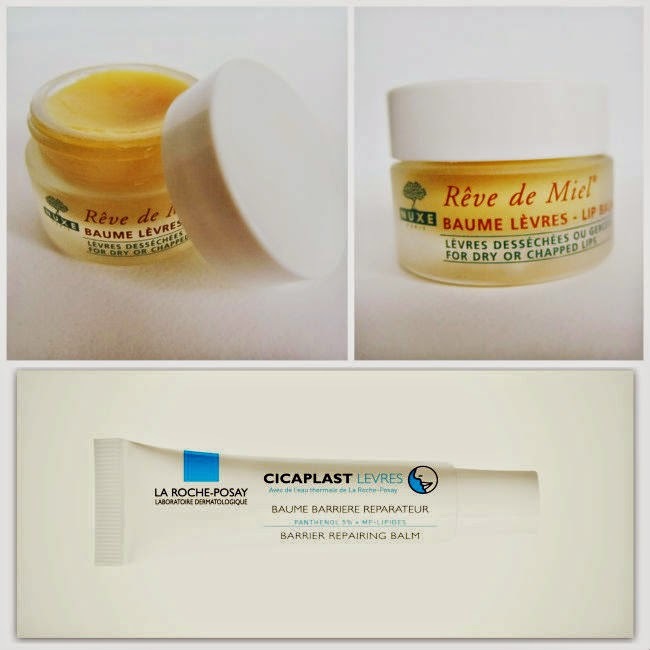 I use the La Roche Posay Cicaplast lips balm as a night-time treatment. Slicked on just before sleep it gets to work overnight and really tackles dry and flaky lips. On waking my lips feel much softer, smoother and more hydrated than before. It's a thick cream that feels nourishing and soothing without being sticky and is non-perfumed, so, like all La Roche Posay products, is a good pick for sensitive skin. I've already repurchased this twice (one lives at work and one on my bedside locker) and consider it a bit of a bargain at around the €7 mark (find it here or in a number of chemists nationwide). It will probably work perfectly well under lipstick, too - if you have more patience than I do. For me, this is just that little too rich to absorb as quickly as I'd like, and it's a touch too slippy on the lips to work as an effective first layer before makeup. That's where NUXE Rêve de Miel comes in. Unlike Cicaplast Lips, I don't find this to be super nourishing or hydrating, although it holds its own well enough in that regard. But where it's brilliant is for use in prepping lips before makeup. It feels quite waxy when you apply it and helps create a really smooth base for under lipstick; because it dries matte, it doesn't interfere too much with the finish of any product layered on top. Around the €12 mark, this is a little on the spendy side but with its luxe little glass pot and gorgeous citrus scent, I think it's worth it. So tell me: what's your favorite lip balm, and why do you recommend?